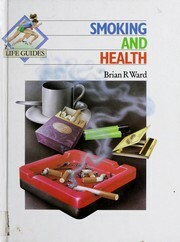 Are you sure you want to remove A treatise on the culture of the tobacco plant from your list? 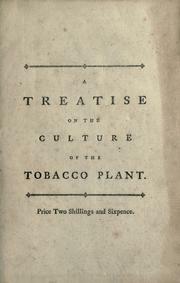 A treatise on the culture of the tobacco plant: with the manner in which it is usually cured. Adapted to northern climates, and designed for the use of the landholders of Great Britain. 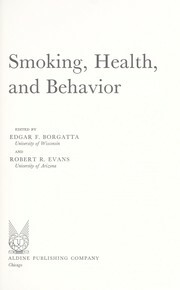 A treatise on the culture of the tobacco plant: with the manner in which it is usually cured. 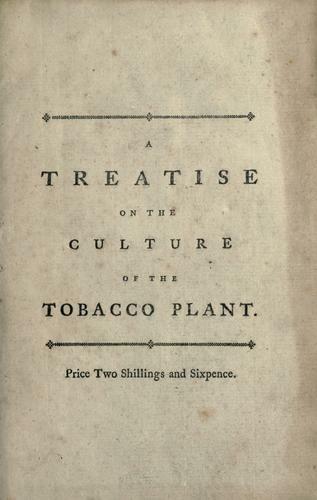 A treatise on the culture of the tobacco plant: with the manner in which it is usually cured. Adapted to northern climates, and designed for the use of the landholders of Great-Britain. To which are prefixed, two plates of the plant and its flowers.